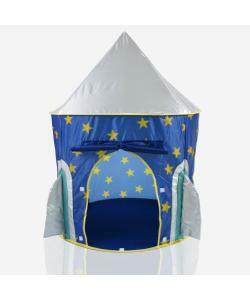 It's play time for your little one and now he can be top of the world in this fabulous rocket pop up play tent. 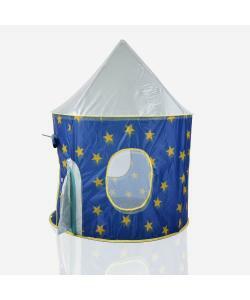 With its many features he can have hours of fun indoors or outside whilst you know he is protected from the elements. 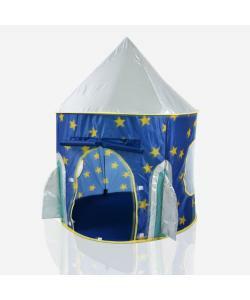 The playtent's roof is UV protected to protect children from the sun's harmful UV rays. 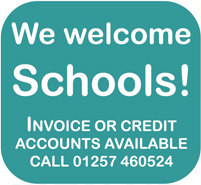 The light mesh door cover allows good airflow whilst keeping out insects. Silver 100% UV proof lined roof to protect from the sun.